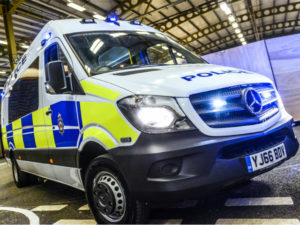 A large scale telematics-based fleet review involving around 600 vehicles helped West Yorkshire Police to identify savings in its operations. A new national purchasing agreement aims to save around £5m over two years. This was in addition to it heading up a consortium of 20 police forces looking to cut costs through a collaborative approach to procurement and model standardisation based on wholelife costs. This move will have saved the country around £5 million under the new national vehicle purchasing agreement during the first two years of the scheme. In the West Yorkshire force alone the savings for the first two years amount to around £400,000. The force has also added two electric Peugeot vans on to its fleet for evaluation. The fleet review covered a range of issues and utilised telematics across its 600 cars and vans to better understand vehicle utilisation – a key part of the force’s day to day work. The force has also developed its telematics system to allow it to see the visibility impact of the vehicles, in terms of how much time they spend outside the boundary of the police stations, using geo-fencing, which has provided the basis on which it has been able to reduce fleet size without impacting on service delivery. Elsewhere, it has taken steps to reduce grey fleet mileage by introducing a pool of six low emission Peugeot 208 cars, which are also fitted with telematics to enable monitoring of mileage and driving behaviour. The force also promotes video-conferencing and has introduced Skype for Business in order to cut down on grey fleet mileage, along with working from home. In addition, 102 low emission Peugeot vehicles have been added to the fleet, helping reduce fleet emissions – as a result 29% of the fleet emits less than 110g/km of CO2 and 48% have emissions lower than 119g/km. The removal of 24 vehicles in the lower distance day bands. £7,765 saved in three months through reduced private mileage claims. Fleet mileage decreased by 3.4 million miles in the period between 2011/12 and 2015/16, saving the force somewhere in the region of £490,000. West Yorkshire Police also has a Green Travel Plan which encompasses a car sharing scheme, salary sacrifice provision, bus passes for meeting use and a cycle to work scheme. It has also introduced a driving standards board which uses the telematics data to identify poor driving styles – those drivers are then given driver improvement training to encourage smarter and greener driving as well as promoting the force’s health & safety message. Eco-Driving forms part of the initial driver training course and refresher program. (L-R) Steven Thompson from West Yorkshire Police, Actor Robert Llewellyn and Andrew Brown. Commenting on the fleet review the force went through with the Energy Saving Trust, Steve Thompson, head of transport at West Yorkshire Police, said: “Working with the EST has enabled West Yorkshire to undertake regular fleet reviews and look at areas where we can improve on the amount of emissions that we are producing without impacting on our operational requirements. “Telematics plays a big part in how we are able to share data with our senior management and look to get the best use out of our force vehicles. This plays a big part in how we look at under-utilised vehicles and gives the confidence to the end users when fleet is removed. “With police vehicles being involved in more pursuits the use of the telematics data with the Driver Standards Board gives a better understanding to how a vehicle was driven and this is a big factor in how we are driving down our collision rates. “Evaluating the use of further pool vehicles rather than private mileage claims has proved to be successful within our headquarters and we are looking now at placing more pool vehicles within our districts to remove grey fleet mileage. These will not be additional vehicles but existing vehicles identified through the telematics as current under-used vehicles. 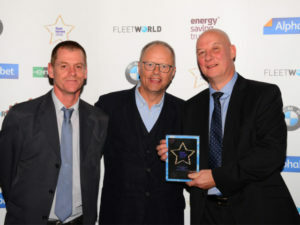 As a result of the fleet initiatives, West Yorkshire Police was named best public sector fleet in the 2016 Fleet Hero Awards.Heroes Wanted: Applications for the 2017 Fleet Hero awards are open until 20 September, with winners due to be announced at an event in the London Docklands Museum on the 9 November. To enter, click here. Previous: Could changing attitudes to driving from millennials pose a problem for fleets?